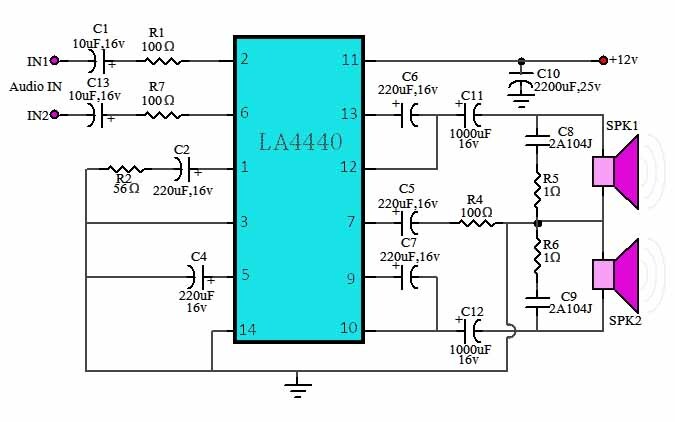 Return again at IC LA4440 power amplifier, stereo power amplifier circuit using IC LA4440 to provide an output power of 18 watts stereo. Stereo power amplifier circuit with LA4440 IC works with a voltage source + 12 volts DC with a current of 2 amperes. Power amplifier IC LA4440 is often used on the car stereo amplifier tape. IC LA4440 is a stereo amplifier chip that has the following technical specifications. "It has 46dB of ripple rejection Low distortion Good channel separation Thermal protector"
Overvoltage protector Surge voltage protector Pictures schematic and list of components to create a stereo power amplifier with IC LA 4440 can be seen in the following power amplifier circuit diagram. Circuit stereo power amplifier with IC LA4440 above can be used to drive a load of 2 Ohm speaker load up to 32 Ohm, so it can be applied in a comprehensive audio device. Stereo power amplifier Circuit LA4440 IC can also be used to move the Horn type speaker audio system PA (Public Amplifier). Stereo power amplifier Circuit using LA4440 IC can be prepared by the PCB in the market. On the PCB market, stereo power amplifier IC circuit has been equipped with LA4440 tone control circuit is arranged in one piece PCB. LA4440 IC will generate heat when working with large volumes, therefore it is necessary LA4440 IC equipped with cooling (heat sink) to remove the heat generated. 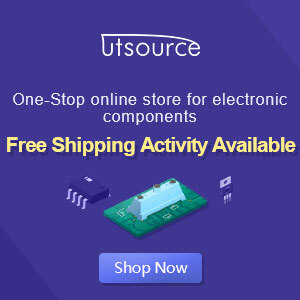 Power supply to circuit IC LA4440 stereo power amplifier can use a power supply with output voltage of 12 volts DC and the current minimum of 2 amperes.